Add a little fun to your holidays with these sweet treats. Pretzel M&M Hugs are as tasty as they are addictive. If you are not comfortable baking goodies in the kitchen, this is a good starter recipe and lots of fun to include eager young helpers. The finished product is attractive enough to box up for gifts, if you can hold onto them for that long. These are approximate numbers. Make as many as you wish. You are only limited by the number of items in a bag. Of course, all of the Hugs have to be unwrapped and that is where your helpers come in. Line up the pretzels on cookie sheets covered with parchment paper and place one unwrapped Hug on top of each. Heat them in a preheated oven at 200 degrees. They will start to look shiny. 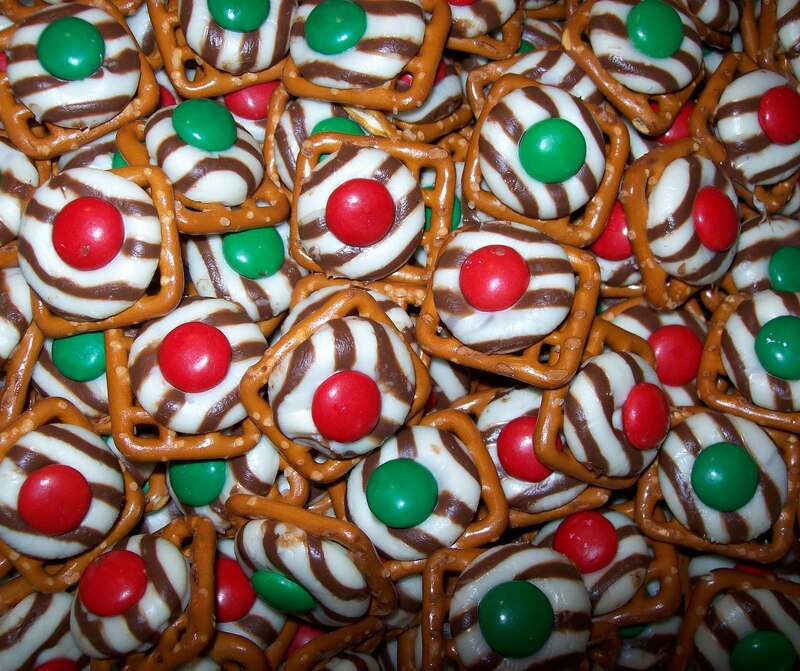 Remove from the oven and carefully press an M&M down into each center smashing the Hug into the pretzel. Voila, now all you have to do is let them cool, which you can speed up by placing the sheets in the fridge or freezer for a few minutes. Once they have cooled, store them in airtight containers. I would like to say that the hardest part of making these is to refrain from eating them all. Actually, I have found the hardest part to be moving the cookie sheets full of them in and out of the oven without sending them flying in all directions. Slow down, take your time, don’t burn your fingers and enjoy. There are lots of variations of this candy on the internet, using different combinations of ingredients for different holidays. Explore, experiment and have fun.